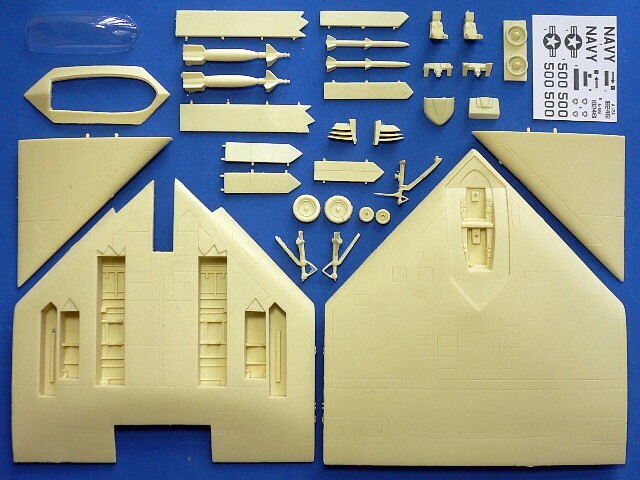 Anigrand Craftswork 1/72 scale A-12A Avenger II was selected by FSM's editors as nominee of "Kit of the Year Award 2003"! In mid-1980's, U.S. Navy awarded the ATA (Advanced Tactical Aircraft) program as a replacement for the A-6 Intruder. 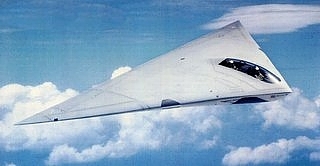 The key improvement over the existing aircraft was stealth ability. In 1988, General Dynamics / McDonnell Douglas were selected to develop a subsonic twin jet carrier- based ATA for attack at night and in bad weather, the A-12 Avenger II. The principal program office was set up at General Dynamics, McDD responded for the project design. The first prototype was expected to complete in 1990. After 3 years of work, the A-12 contractors revealed serious engineering problems and budget over-runs, which caused the first flight delay. In 1991, secretary of Defense terminated the A-12 contract after the prototype completion failure. In 1993, the Forth Worth Aviation Heritage Association launched the A-12 restoration program. General Dynamic provided the A-12 engineering hardware for this restoration. The full-scale mock-up was finally completed and displayed publicly in the museum at Alliance Airport, Forth Worth. The A-12A Avenger II is suitable to group with the following collection series.